Van Jacobson: "In vocabulary terms, IP is like a good middle school education. There’s a lot of things you can say and communicate in society but it’s not so great for writing a poetry volume or a thesis... The real goal of NDN was to get us into college." Much of the Named Data Networking (NDN) project codebase is still at the Version zero-dot-something level. But things are nevertheless starting to get real for this content-centric architecture designed to blast past today’s host-based and point-to-point Internet scheme to one more suited for accessing applications across hugely scalable networks that are mobile and extend to all sorts of sensor-equipped things. The NDN project team hosted more than 100 people from 63 institutions and 13 countries at UCLA last week to share progress and ideas at the second annual NDN Community Meeting (the first such meeting that we wrote about a year ago in "UCLA, Cisco & more join forces to replace TCP/IP" drew attendees from 39 institutions and 7 countries). A quick search of the IEEE digital library through early October turned up 42 papers from 2015 with Named Data Networking in their titles, whereas there were 52 new Named Data Networking papers for the entire span of 2014. The open source NDN codebase, which is being run through its paces across an international test bed, was even put to use at the NDN Community meeting itself for conferencing purposes. In addition to academic experts, influential network and computing vendors such as Cisco, Alcatel-Lucent, Huawei and Intel are behind this movement and took part in NDNComm, which featured sessions on topics such as advanced routing -- “hyperbolic” no less -- serious science applications and trust/security/encryption. 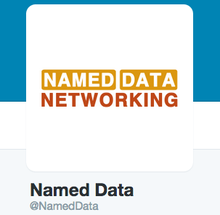 The NDN Project even has a new Twitter account -- @nameddata -- so it must be the real deal, right? That meeting was immediately followed, up the coast in San Francisco, by the 2nd ACM Conference on Information-Centric Networking, where NDN was one of the stars. 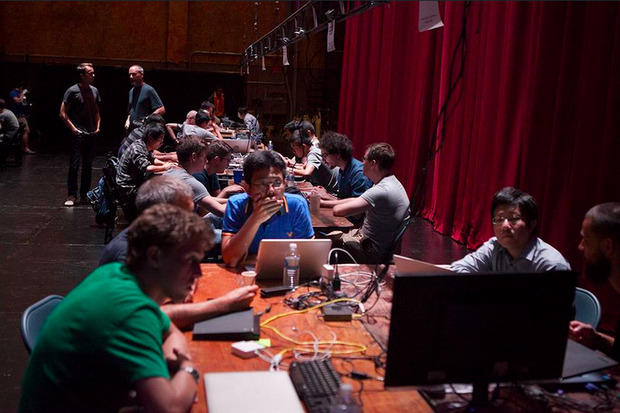 And prior to all this, UCLA hosted the first NDN hackathon. NDN's spiritual leader, Internet Hall of Famer and UCLA adjunct professor in computer science Van Jacobson, delivered keynote addresses at both NDNComm and the ACM event. NDN has its roots in content-centric networking, a concept that Jacobson started discussing publicly about 10 years ago while at Xerox PARC.